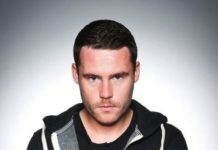 EMMERDALE EPISODES: In the wake of Harriet’s attack, the police question the villagers but it seems to only be the start. 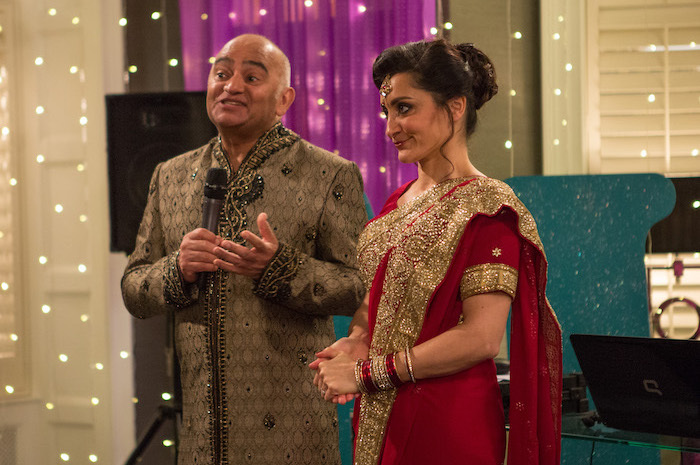 Jai causes a scene at Rishi’s wedding reception when he makes accusations about Manpreet. Rhona collapses in pain while working at Home Farm. 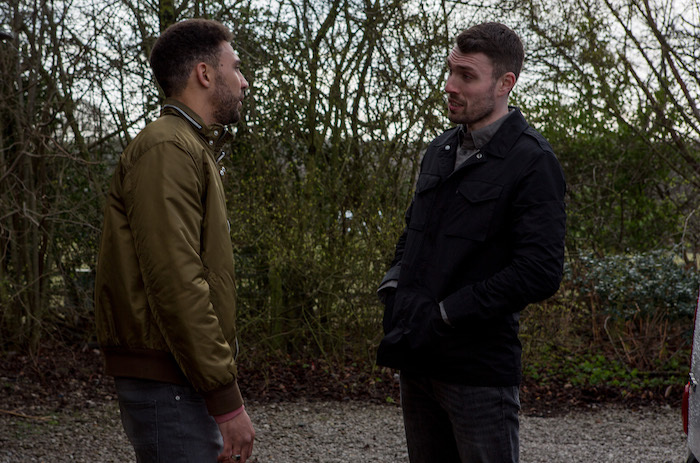 Elsewhere, Bear and Paddy talk as he prepares to leave, Jessie questions Maya, Liv and Jacob make decisions, and Billy sees a face from his past. 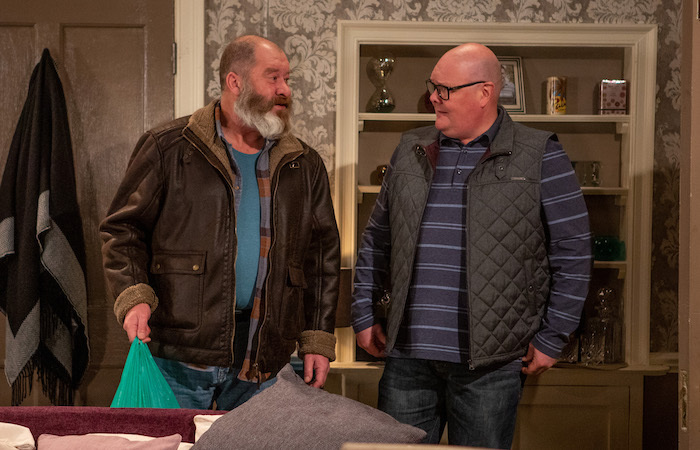 Mon 8 Apr 2019: Paddy Kirk tries to speak to Bear Wolf before he leaves for Northern Ireland. 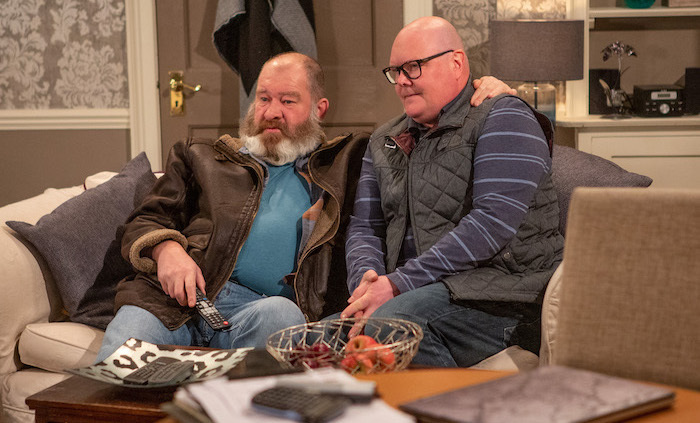 Mon 8 Apr 2019: Will Bear Wolf listen to what Paddy has to say or does he have something to say too? Mon 8 Apr 2019: Will father and son bond before Bear departs? 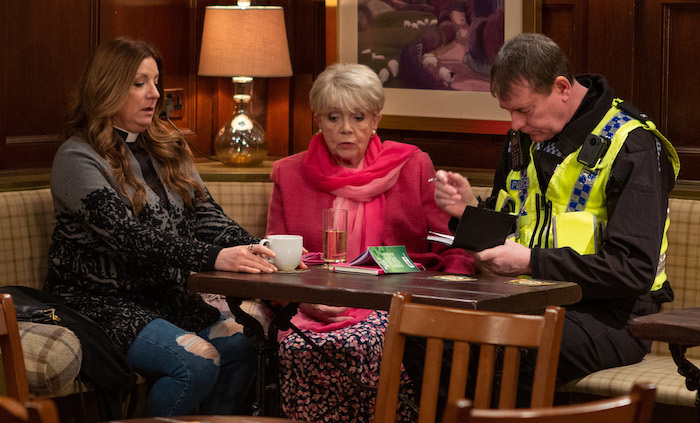 Mon 8 Apr 2019: PC Swirling starts an interview with Harriet Finch about the attack but she’s fed up with some villagers suspecting Dawn is involved. 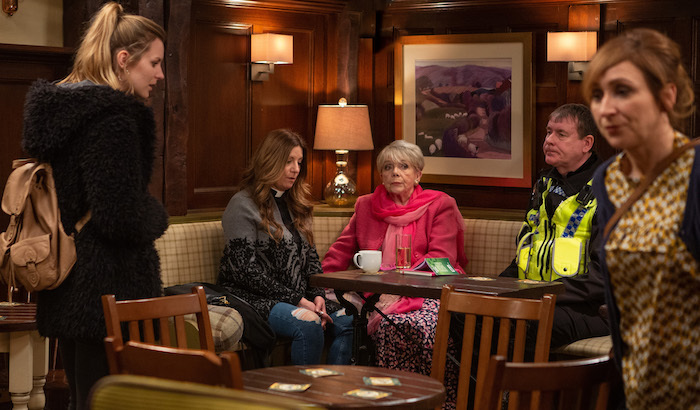 Mon 8 Apr 2019: When PC Swirling starts to question her, Dawn realises she’s under suspicion for Harriet’s attack. 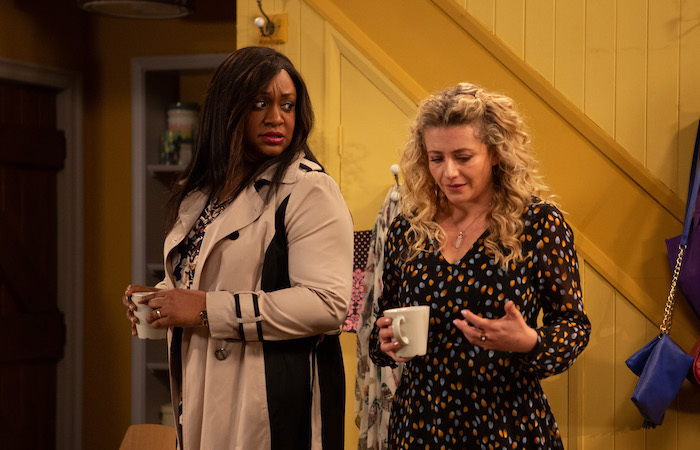 Tues 9 Apr 2019 – 1st Ep: Harriet Finch and Laurel Thomas get a shock when they arrive at the Church. 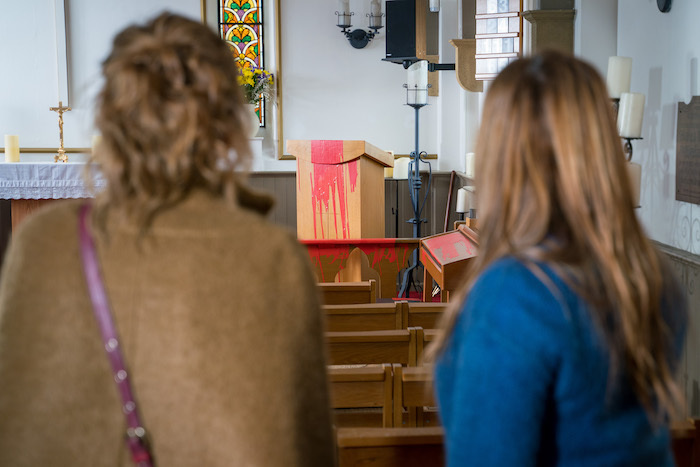 Tues 9 Apr 2019 – 1st Ep: Harriet Finch is rattled to discover somebody’s thrown red paint all over the pulpit. 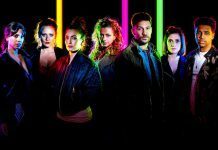 Tues 9 Apr 2019 – 1st Ep: Who is targeting Harriet Finch and why? 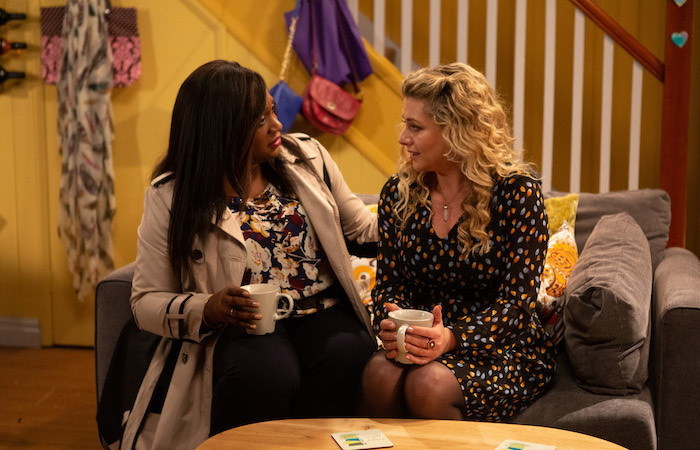 Tues 9 Apr 2019 – 1st Ep: Jessie Dingle tells Maya Stepney they need a meeting to discuss her performance. 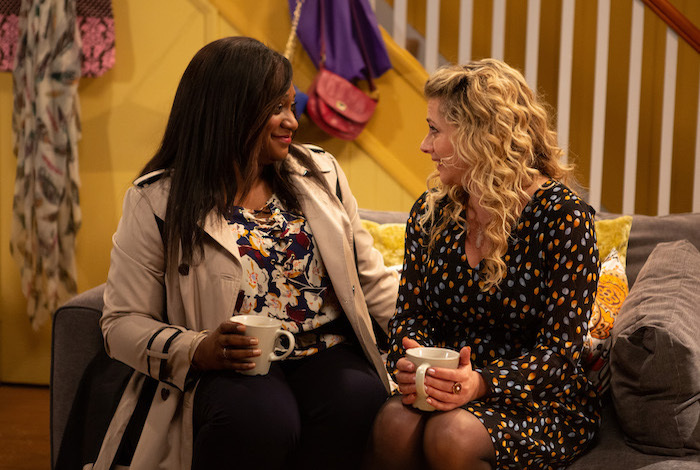 Tues 9 Apr 2019 – 1st Ep: Maya tells a sympathetic Jessie Dingle that her self esteem has suffered since her divorce. 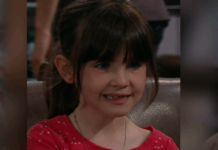 Tues 9 Apr 2019 – 1st Ep: Maya Stepney is relieved that Jessie Dingle buys her story. Has Maya got away with it again? 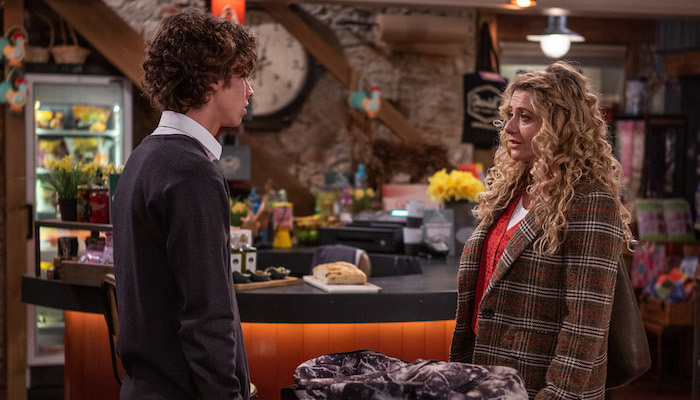 Tues 9 Apr 2019 – 1st Ep: Rhona Goskirk arrives at the stables to check on Kim Tate’s horses. 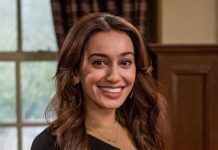 Tues 9 Apr 2019 – 1st Ep: Rhona Goskirk starts to feel unwell, but her sense of duty pushes her on. 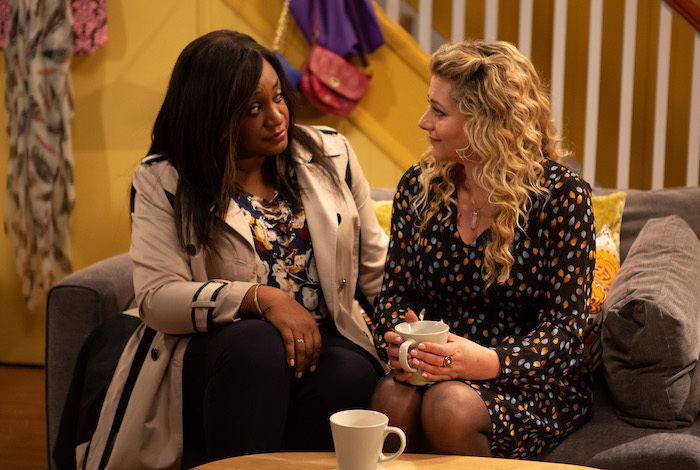 Tues 9 Apr 2019 – 1st Ep: Kim Tate continues to crack the whip while Rhona hides her illness. 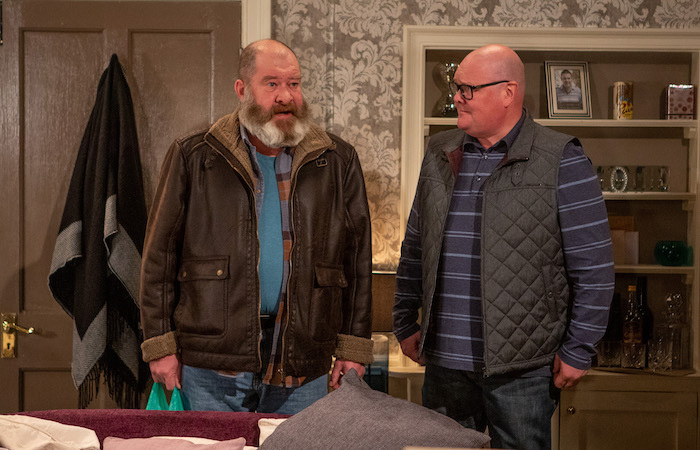 Tues 9 Apr 2019 – 1st Ep: Rhona tries to get the job down as quickly and professionally as possible despite her pain. 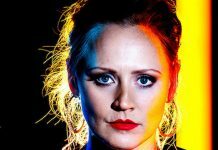 Tues 9 Apr 2019 – 1st Ep: Rhona later collapses with sudden abdominal pain. 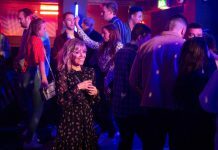 Tues 9 Apr 2019 – 1st Ep: Rhona’s pain gets worse as she falls to her knees, unable to stand. 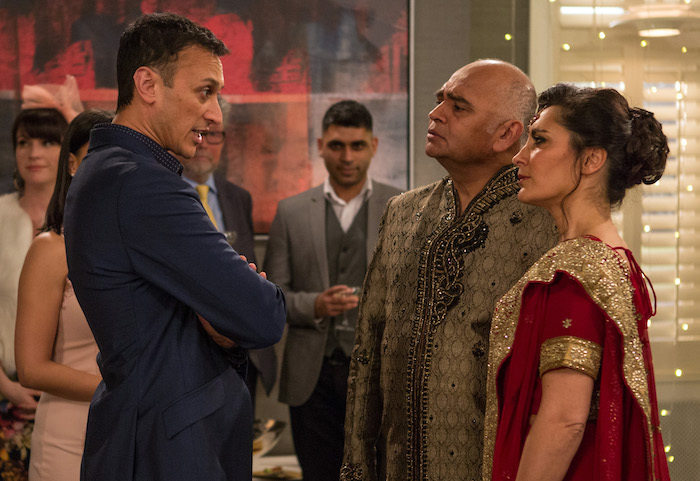 Tues 9 Apr 2019 – 2nd Ep: Rishi Sharma starts a speech about his love for Manpreet, but Jai’s far from impressed. 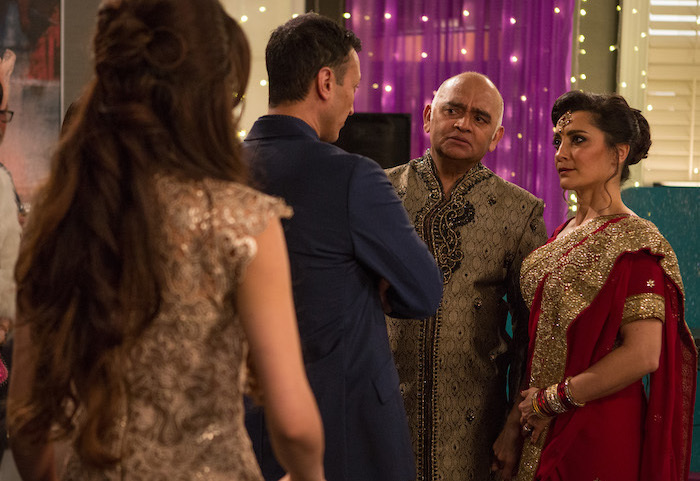 Tues 9 Apr 2019 – 2nd Ep: Is Rishi and Manpreet’s marriage over before its begun or has Jai got it wrong? 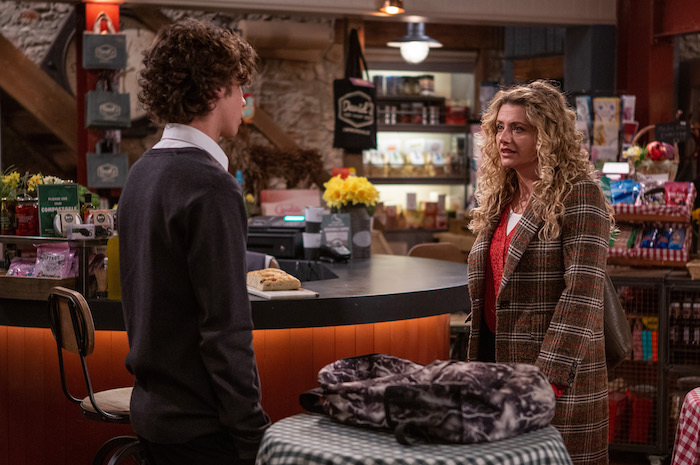 Wed 10 Apr 2019: Maya Stepney is alarmed when a wretched Jacob Gallagher tells her he can’t keep lying to Liv and his Dad. 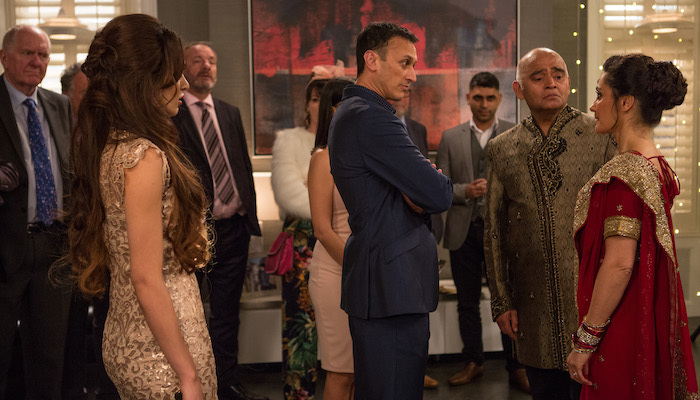 Wed 10 Apr 2019: As she tries to deter him from coming clean, Maya’s stunned when he ends their relationship. 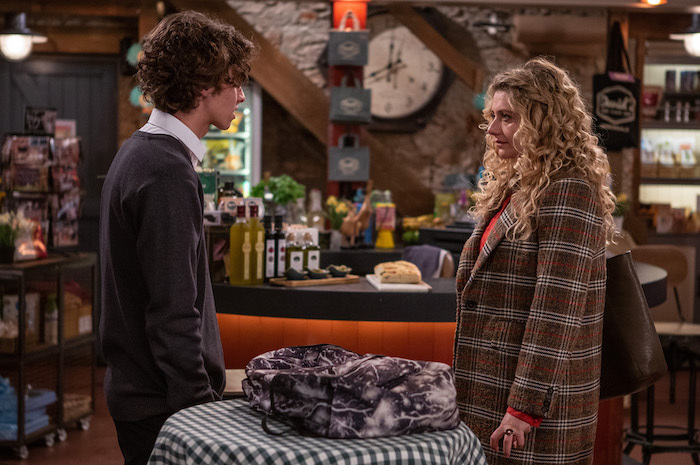 Wed 10 Apr 2019: Will Maya manipulate Jacob again or will he stay strong and keep away from her? 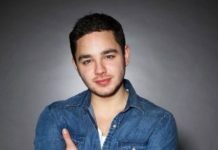 Thurs 11 Apr 2019: Worried he’s losing interest, Liv debates sleeping with Jacob Gallagher. 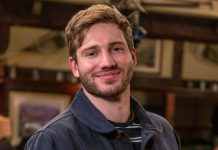 Thurs 11 Apr 2019: Will Liv do something she later regrets with Jacob Gallagher? 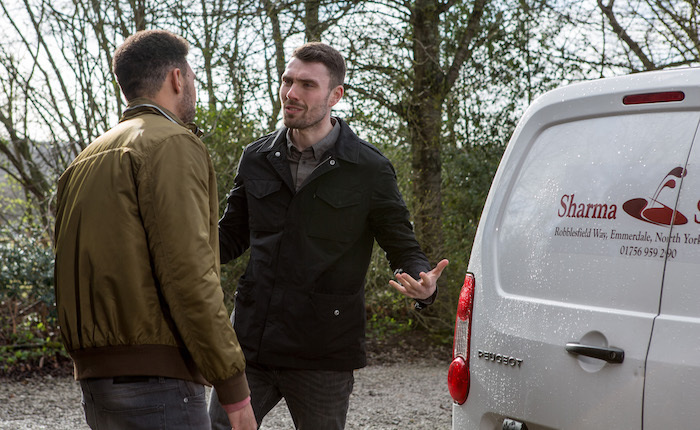 Thurs 11 Apr 2019: How will Jacob react to Liv’s plan given he’s been leading her on? 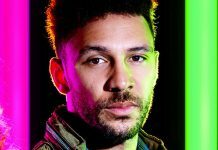 Fri 12 Apr 2019: Who is Max and what’s his history with Billy? 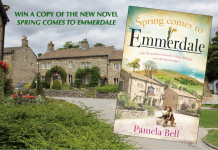 Emmerdale is on ITV on Monday to Friday at 7pm, with an additional episode on Thursday at 8pm.